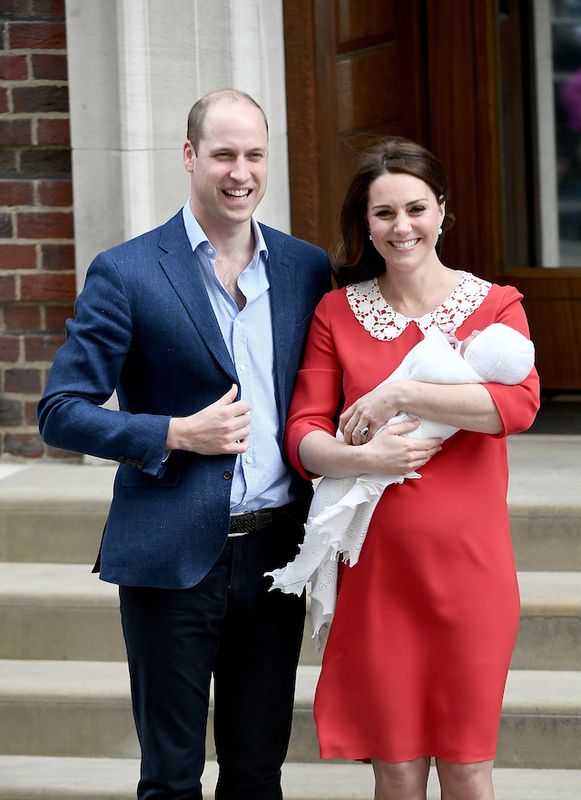 Kate Middleton and Prince William left the hospital Monday and gave the world the first glimpse of their third child, a baby boy. 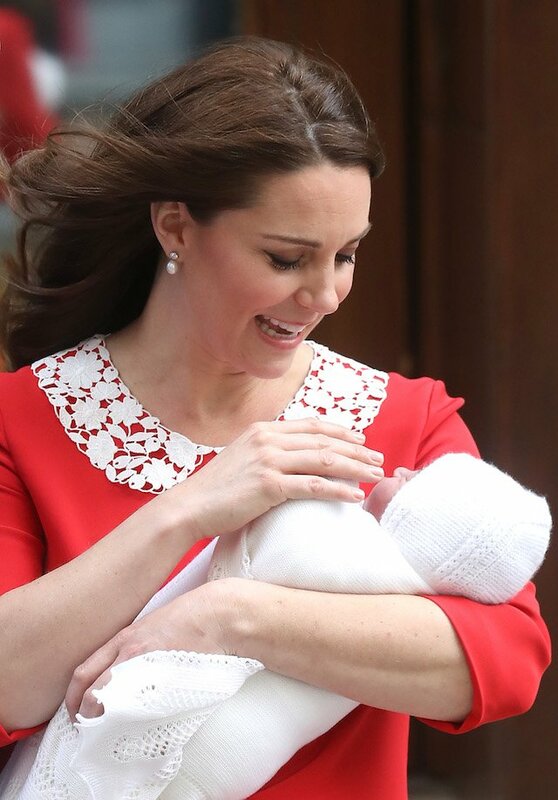 The Duchess of Cambridge was glowing as she held the child, who weighed in at 8 lbs., 7 oz. and was born Monday. The child will be fifth in line to the throne. 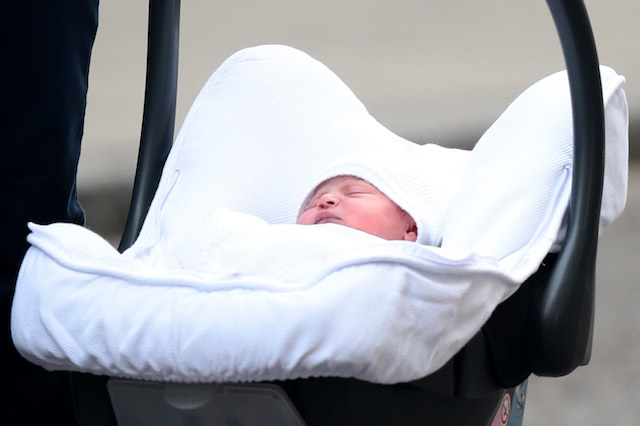 Middleton and Prince Williams waved at photographers and greeted well wishers outside St. Mary’s Hospital in London, as the newest member of the royal family seemed perfectly content. “Her Royal Highness The Duchess of Cambridge was safely delivered of a son at 1101hrs. The baby weighs 8lbs 7oz. 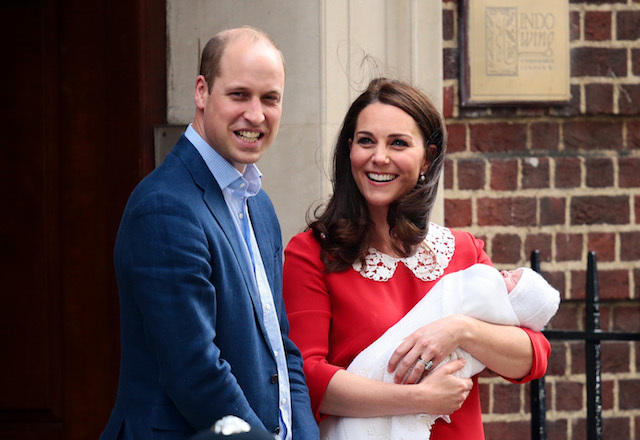 The Duke of Cambridge was present for the birth,” Kensington Palace tweeted Monday about the birth.